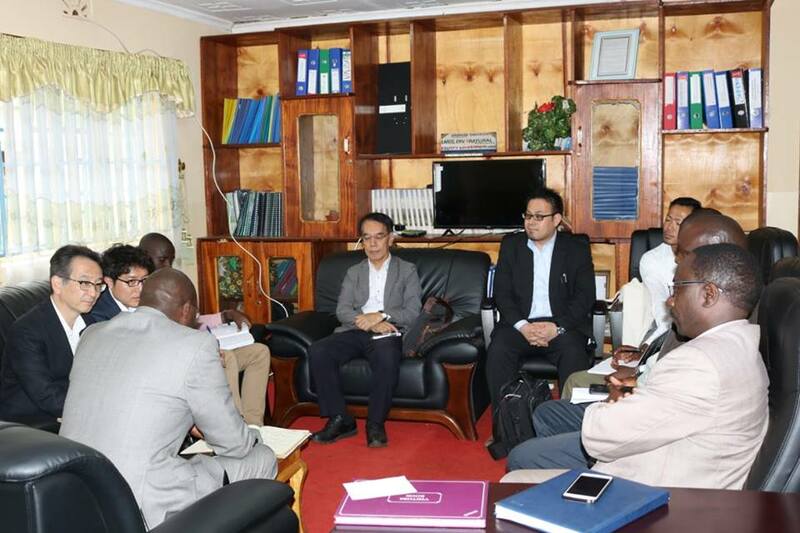 Japan International Cooperation in Africa has visited Nandi with an aim of reviewing and analysing Non-Revenue – Water control projects. The team led by Masayuki Fujii, a project manager were keen on checking service connections for both domestic and commercial users, operational meters, water source and treatment works. Acting Managing Director KANAWASCO, Mr. Kiboi thanked the team for the visit as this shows the commitment that they have in ensuring that control of Non-Revenue Water control is achieved. ” With proper equipment we will be able to know water loss that occurs through bursts and unauthorized connections” he added. The team visited Singorwa village that are among the beneficiaries and Kapsabet Water Supply. The Non – Revenue – Water Control projects were funded by JAICA to Kapsabet Nandi Water and Sanitation Company (KANAWASCO) in 2012.